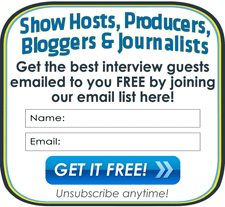 Interview Guests Directory - Find Guests for Podcasts, Radio, Articles, PR, and Press Interviews - Myron G. Heavin: Do the Bible and Science agree? Myron G. Heavin graduated from Purdue University with a BS in aeronautical engineering, and has a BA in biblical and theological studies from Talbot Theological Seminary. He is currently enrolled in Christian Apologetics MA studies at Biola University. After fifty years as an engineer for the Boeing Company, Heavin retired and continues teaching and leading seven different Bible studies. How does nature clearly reveal a divine creator? How can we use nature to understand Scripture? Could God create by guiding evolution? How does the fossil hominid record help interpret Scripture?